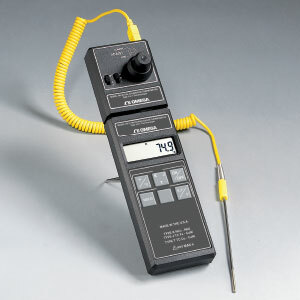 The HH20CAL is a compact device that plugs onto a handheld thermocouple thermometer, turning it into a high accuracy thermocouple calibrator. Simply turn the vernier dial on the HH20CAL so that the handheld meter indicates the desired temperature; the user can then calibrate transmitters, panel meters, controllers, or other thermocouple instruments. 참고: The HH20CAL comes complete with 9 V battery and operator’s manual.